As Raven fights to be free of Alie’s control, Jaha shows the A.I. a new way to sway the people of Arkadia. Monty must flee the city, while elsewhere Ontari makes use of Murphy’s counsel as she struggles to gain control of the alliance in the absence of the Fire. 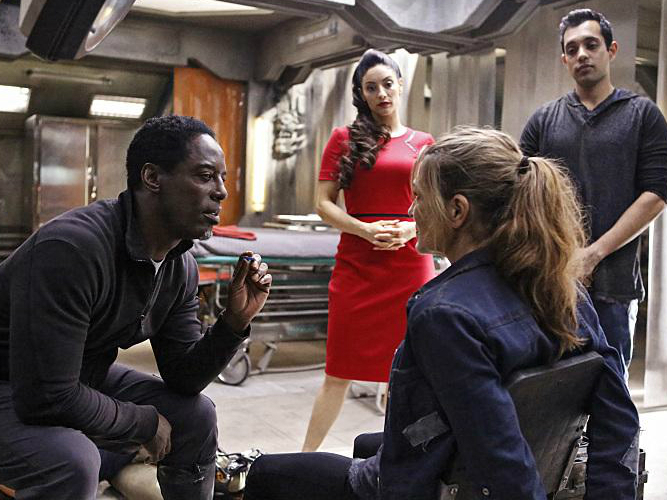 Jaha (Isaiah Washington) employs a terrifying new method to convince Abby (Paige Turco) to join his cause, Kane (Henry Ian Cusick) is on a mission, and Bellamy (Bob Morley) is hit with a hard truth. Meanwhile, Monty (Christopher Larkin) finds himself in a precarious situation, and Jasper (Devon Bostick) rushes to save one of his own. Eliza Taylor, Marie Avgeropoulos, Lindsey Morgan and Richard Harmon also star. Matt Barber directed the episode written by Charmaine DeGrate & Javier Grillo-Marxuach (#310).